Kleefeld on Comics: Guess Who's Missing? You know, the news du jour in comics is the free digital Marvel issues promotion crashing comiXology's server. But here's a complaint about the whole thing that I'd liked to lodge... completely unrelated to the technical issues involved here. 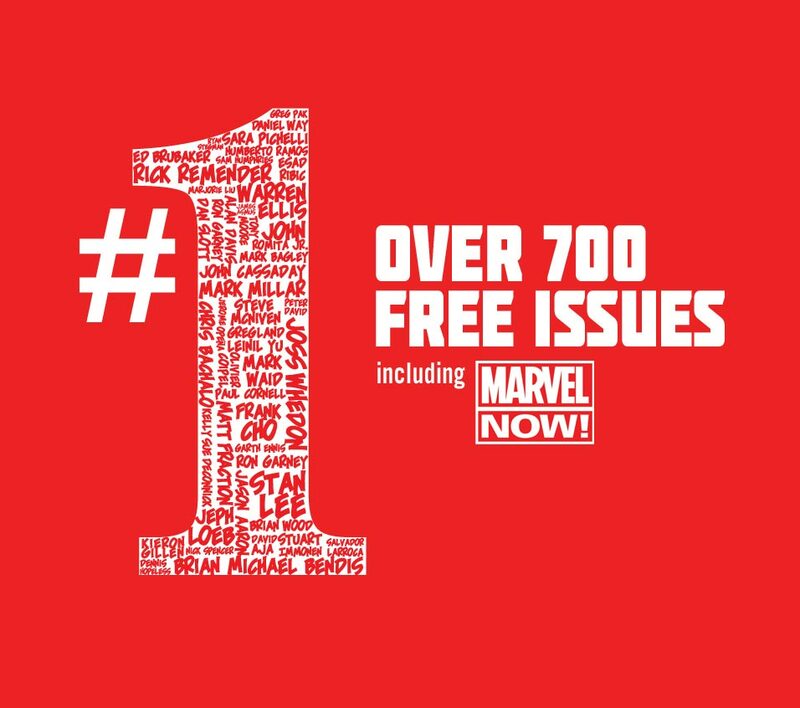 It's the promotional image... That giant "1" contains the names of many Marvel creators, past and present. Obviously, there's no way you could realistically include EVERY name of EVERY creator in there, even if you limited yourself to those who worked on #1 issues. But there are a few conspicuous absences, most notably Jack Kirby and Steve Ditko. You know, the guys who largely created everything that Marvel is built off? Kirby in particular seems wrong to omit since he probably has more #1 issues at Marvel than anyone other than maybe Stan Lee! I get that they want to focus on the current hot creative talent, and I don't fault them for not including, say, Marie Severin or Don Heck. And I get that they want to throw in guys like Joss Whedon for the name recognition, even though I'm pretty sure he hasn't written any actual Marvel comics in, like, five years. But to throw in Lee but not include Ditko, much less Kirby? That's just downright insulting! I'm insulted by poor graphic design, but aside from that they should've left out Stan Lee. Lee, Kirby and Ditko are about as relevant to comics as Jesus is to carpentry!